Katie Alford is a doctoral student in English education at Arizona State University. She studies writing communities in ELA classrooms. She is a teacher consultant for the Central Arizona Writing Project. 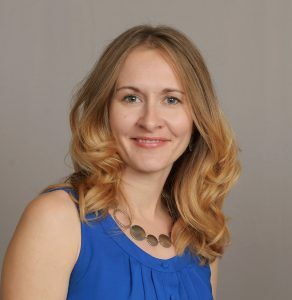 Jessica Singer Early is an associate professor and Director of English Education at Arizona State University. She directs the Central Arizona Writing Project, a local site of the National Writing Project. Elaine Simos has taught in various public school settings, from urban to alternative to suburban, and has worked with preservice teachers at all levels. Currently, she teachers senior-level English and functions as a literacy and instructional coach, working with colleagues from a wide range of content areas, at Downers Grove North High School. Kathy Smith has worked for 24 years as an English teacher and literacy leader. She has taught for 18 years at Community High School District 99. She received her master’s degree in language and literacy, eventually receiving a reading specialist certificate from National Louis University. In addition, Kathy is finishing up her doctoral work at Northern Illinois University and hopes to graduate this year with a doctorate in curriculum and instruction with an emphasis on literacy. Kathy has presented at IRC, ILA, and CEL on professional development and literacy coaching. 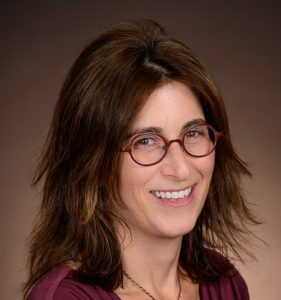 Maydie Bombart is the Language Arts Coordinator K–12 Emeritus for the New Britain Public Schools and often works as an adjunct professor for Central Connecticut State University (CCSU) in the graduate reading program. She has been the administrator of the Consolidated Title One Grant and a District Coordinator of Reading First. Maydie served as an elected member of the executive board of the Conference of English Leadership (CEL) and continues to be a member of the International Literacy Association (ILA), Connecticut Association for Reading Research (CARR), and the National Council of Teachers of English (NCTE). She continues to serve on both the CCSU National Writing Project Advisory Board and the Reading Dept. Advisory Board. Maydie has been the recipient of the Women in Leadership Award and the Administrator of the Year in New Britain. Purpose: The CEL English Leadership Quarterly Best Article Award honors the authors of two articles written and published in English Leadership Quarterly. Eligibility: Book reviewers will not be eligible for consideration, but articles written for specific English Leadership Quarterly columns may be considered. Teachers currently on leave may be considered, as may former teachers presently not employed. The editor(s) of English Leadership Quarterly shall draw up the annual list of eligible authors and shall be the arbiter of eligibility. Award Criteria: The award shall be given once each year, covering issues published between February and October of any given school year. An honorable mention (runners-up) may be also named. Award Specifics: The awards are announced by the English Leadership Quarterly editor(s) at the Sunday Opening Session during the CEL Convention. The award winner receives a plaque and honorarium. Judging: The editorial panel may consist of a chair and three to five readers, selected by the editor(s) of the English Leadership Quarterly. The panel shall be nominated for a one-year term. Panel members will be expected to excuse themselves from the judging if an article on which they are an author is eligible for the award. If necessary, the editor(s) of the English Leadership Quarterly will name a replacement.